This rooftop solar project will meet 70% of the electricity needs of Aubuchon Hardware’s distribution center—enough electricity to power nearly 80 homes, eliminating almost 450 tons of CO2 emissions each year. 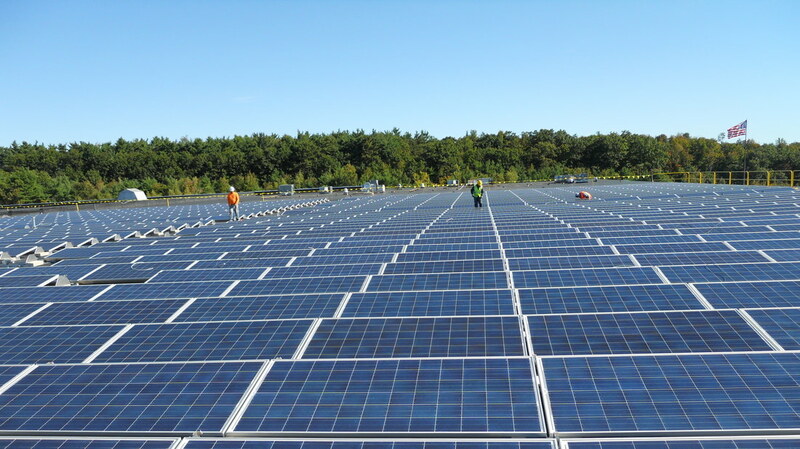 The system, comprising 1,896 modules, was built in just 100 days.By taking advantage of federal and state solar policies and incentives, approximately 35% of the initial investment was recovered in the project’s first year of operation. 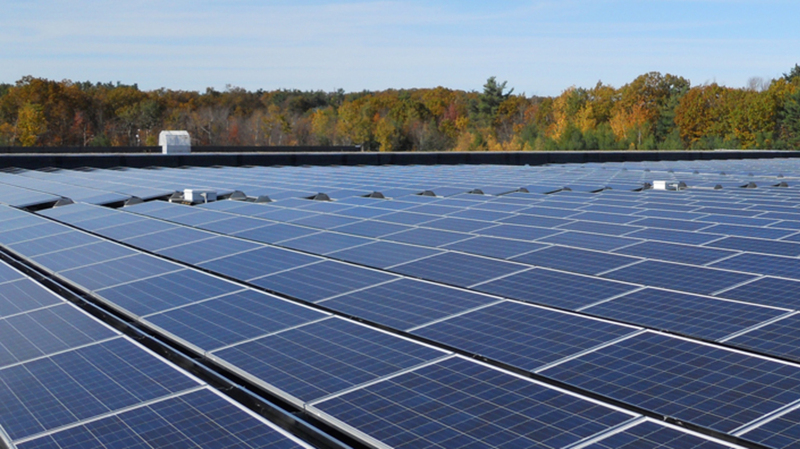 In addition to significant electricity savings, Aubuchon Hardware benefits from the sale of Solar Renewable Energy Credits (SRECs) generated by the project, as well as various state and federal tax incentives.The company expects to realize more than $2.3M in electricity savings over the first 25 years of operation. With a projected system lifespan of 30+ years, substantial additional savings are expected. We have been interested in pursuing environmental causes for the last few years and are big into recycling and energy conservation. After 1.5 years of analyzing and reviewing solar companies we chose Nexamp…I would not hesitate to have Nexamp work on an expansion or new system.